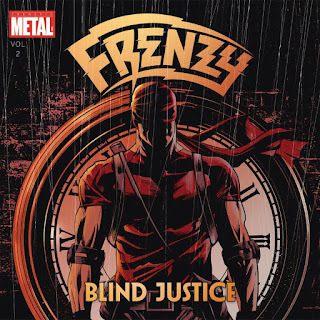 Madrid (Spain) - Blind Justice, the debut album from Heavy Metal torchbearers and comic book fanatics FRENZY will be released on vinyl LP format April 26 via Underground Power Records, coinciding with the album's availability at Germany's Keep it True Festival. The graphic artwork of Mike Mora (Heavy Metal Magazine) and Javier Pastor (Evil Rite) on Blind Justice (complete with 16-page booklet in comic book style) is the perfect match for this music, resulting in a holistic listening experience. "A candidate for one of the best heavy metal albums of the year! " "If your pulse quickens when you hear albums like Back for the Attack, Thunder in the East, or Love you to Pieces, then Blind Justice is guaranteed to put a smile on your face and stir your imagination. It's incredibly well done for the style, and the comic-book lyrical inspiration is just the icing on the cake." "An energetic, uplifting shot of traditional heavy metal." "A fantastic record that brings us back to those glorious years of heavy metal. Highly recommended." "There's something true and honest about Frenzy's heavy metal that really gets through to me. It doesn't sound like they bent over backwards to clone the sound and style of early 80's metal...it just comes naturally to them." "Next to Batman probably the most convincing thing that Gotham City has to offer. (Super) heroic performance." 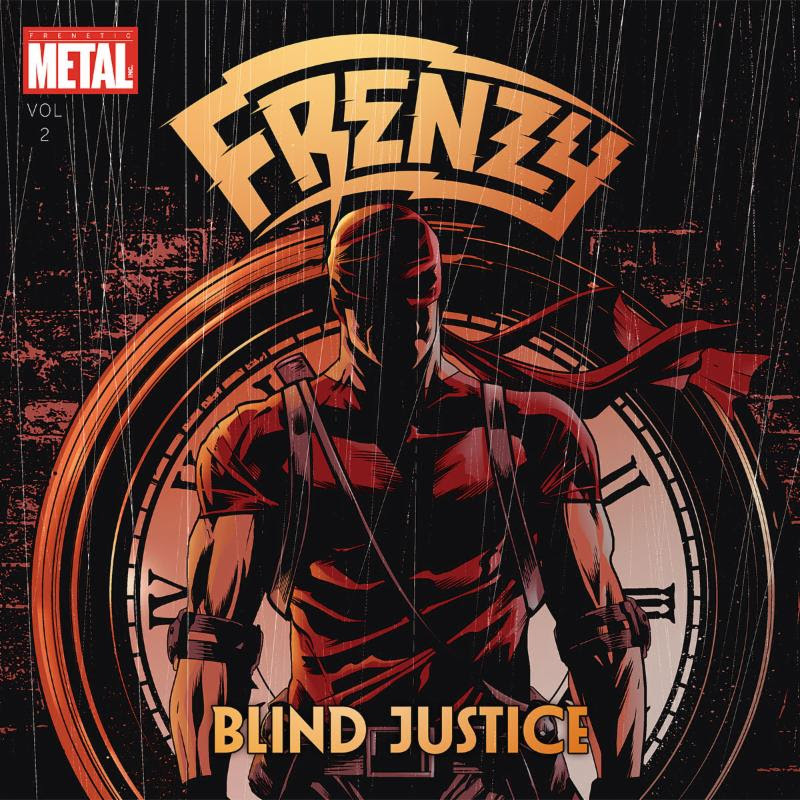 "FRENZY pay homage to good old heavy metal and the world of Marvel comics. And it's a lot of fun listening. Eleven tracks in the intersection of LIZZY BORDEN, HEAVY LOAD and currently NIGHT DEMON, seasoned with a pinch of JUDAS PRIEST." "A great hidden gem of an album." "This band truly is the right mix between Heavy Metal and Comics, combining the epic mood of Heavy Metal with the Comic Book classics, as well as the urban culture common to both worlds." "Frenzy leaves us a sensational debut!" "Nice play! Join two worlds Geeks: Metal and comics. For fans of Loudness, Racer X, Lizzy Borden, Dokken, Van Halen, Helloween." "This is 80s to the bone, with songs spending about half the time in a double bass frenzy of the fastest that Judas Priest and Dokken had to offer, with the other half being more traditional mid paced stuff akin to Accept or Iron Maiden. Energetic and raucous." "Blind justice exceeds the expectations raised by Lethal Protector and shows an evident progression in FRENZY . If you like heavy, you know what you are coming to: guaranteed fun." "Guitar power, attractive compositions, easy to listen and also enjoy live." "Frenetic energy and pounding melody!"